"This meeting was basically a Fund Raiser for The Alzheimer's Association. 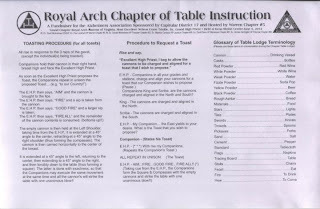 In this Chapter meeting even Master Masons are invited. Wine is served in this meeting to enable Companions to toast. 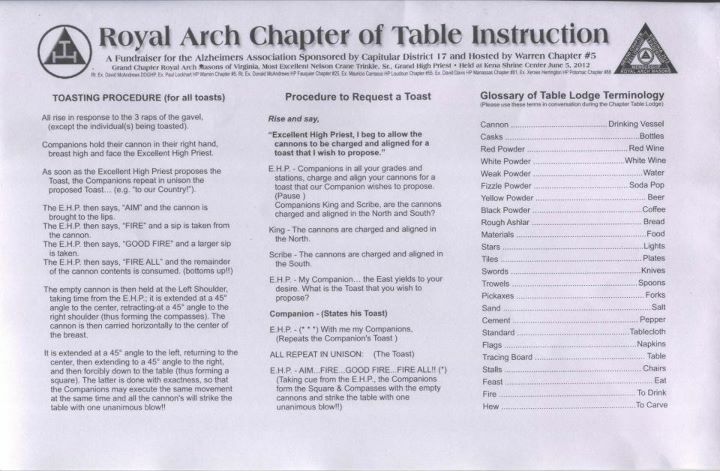 There is a definite procedure for taking toast. The attached document will clarify how it is done. 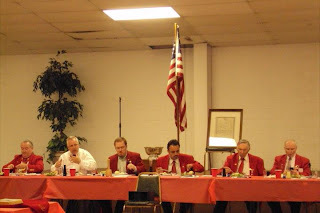 For the information of Brethren in Virgina, serving liquor is banned in all Craft Lodges and Chapters and this is very strictly followed. The Chapter is allowed to service wine only in their Table Lodge meeting. Liquor is permitted only in Higher Order as Commandery, Knights Templar etc."